You always wanted to learn how to surf? 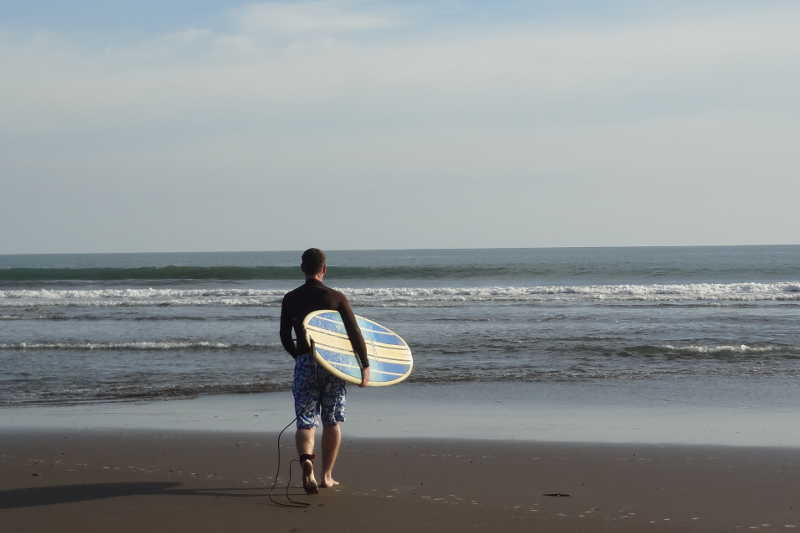 Brown Sugar Surfcamp offers beginner surf courses on Bali’s west coast. Our learn-to-surf package will help you make your dream come true! 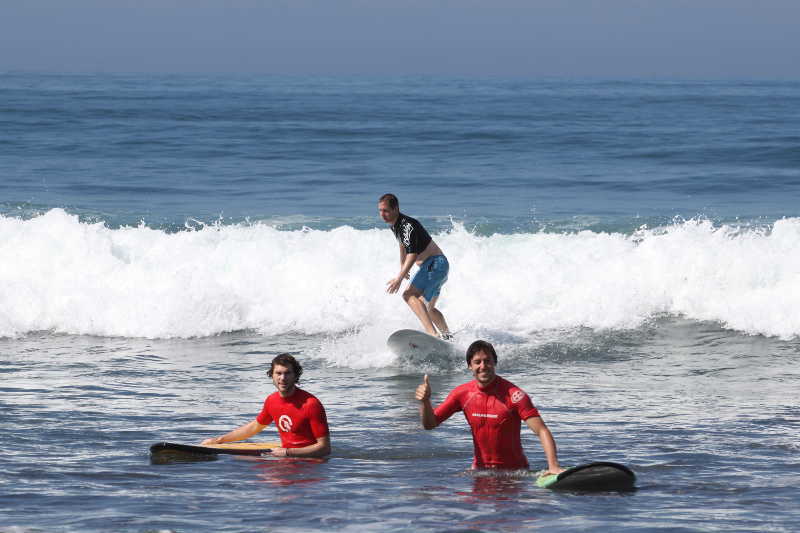 From take-off exercises on the beach to going into the water for the first time, our experienced surf guides are always at your side to prepare you for the next level – riding a Bali’s green waves! Theory and practice lessons in small groups and constant feedback from your surf instructor will ensure that your first surf course will be a raving success and you will love surfing just as much as we do! Prices for beginner courses start from € 399 per week. See our price list or go straight to our booking form.